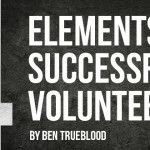 When it comes to student ministry, one of the most important elements are the adult volunteers who serve in the ministry. From Sunday school or small groups, to student worship and student camp, the adults who volunteer to pour their lives into students make a huge difference. How you begin with each of these leaders will determine the length and depth to which they serve in your ministry. 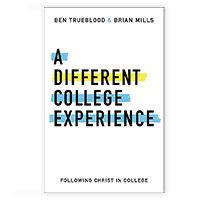 It can often be the difference between a long-term healthy relationship that God uses to impact students, parents, and the community for Christ, and a quick turnaround leader who doesn’t understand his or her role in the ministry. As a result, you must define what is expected of your adult leaders and be clear in communicating with them about their role in serving. Here are a few tips as you think through your own process of recruiting leaders and helping them see what serving students in ministry is all about. Download the Leader Covenant document provided at the end of this blog for help to determine how to communicate leadership and job descriptions with your leaders and potential leaders. Create a clear definition of what it means to serve in every area of your ministry. Determine what the essentials are for you ministry and what you expect from the adults that serve alongside you. Write these essentials down, communicate them with your leaders, and ensure that there is extreme clarity for them at all times. There is nothing more frustrating than serving in a ministry area and not fully understanding what is expected of you. Likewise, we, as student ministry leaders, cannot expect success when we haven’t defined it for our people. Raise the bar on your adult leaders and keep it there. Anyone can serve in student ministry, but not everyone should. I have seen older, younger, introverted, extroverted, married, single, and just plain crazy adults serve well in student ministry. I have also witnessed leaders who were serving for the wrong reasons, or simply not willing to embrace the strategy and vision of the ministry. 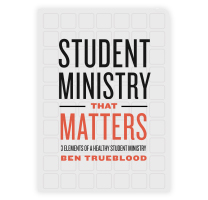 It is a critical error to allow people to serve in student ministry that do not need to be there. It is equally problematic when we assume someone isn’t cut out for the role based upon their age, stage of life, or personality. 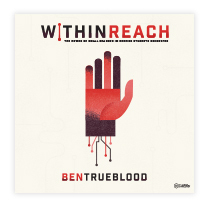 While these things do factor in at times, raise the bar on who you serve with and ensure that it based upon key biblical essentials for leadership rather than extraneous issues that may have no bearing on leader qualification. Know your role in the process. Evaluating and recruiting adult leaders for student ministry is not just about the individual you are working with, it’s also about you and the leadership of the church and ministry. You owe it to your leaders to do your part to help them know what is expected from you and the church. They need to know that you will equip them, pour into them spiritually, and walk with them through the often difficult challenges that face every leader of students. Make sure your leaders know what these steps are and how you will be taking them to help empower them to serve as God has gifted them and called them. It can be a very rewarding process when you properly recruit, train, and unleash leaders in your student ministry. When you look back after months or even years of serving with leaders you have bonded with, you will see all that God has done in the lives of students and in their lives as well. It all starts with beginning well and clarifying what is needed and how it works within the vision of the church and student ministry. You owe it to your church and the Kingdom of God to shepherd this responsibility well. Prayerfully examine your current processes and take the necessary steps, if any are needed, to set the standard for healthy student ministry in your community. Download the Leader Covenant here.